You don’t have to be a millionaire to be able to afford granny flats in the Brisbane or Gold Coast areas. You have seen luxurious flats sprawling in the yards of your friends and co-workers and wondered if you would be able to set aside the money to have one built yourself in a few years. You’ve wanted the extra space to use as a private office for your side hobbies, or maybe even to have as a spare guest room when family comes to visit. The thought of renovating seems like a chore, and with your busy work schedule, the last thing you want to do is take a hammer to the back of your house without knowing when you’ll ever have the chance to finish. So what are you to do? 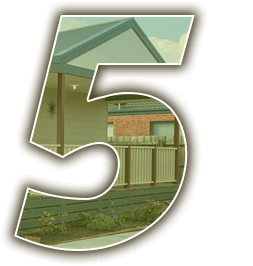 Superior Granny Flats has been a company working for over thirty years in both Brisbane and the Gold Coast to design sleek and affordable granny flats that fit any budget. Our flats start as low as $37,500, which includes a sleep out area, a bathroom, and a full walk-in closet for all of your storage needs. You don’t have to peek over into your neighbour’s yard while green with envy any longer. With a short consultation with one of our friendly and experienced engineers, you can discuss what exactly the best kind of flat for your price range could be, and you’ll be left in awe with how much we can accomplish with even the smallest budget! The granny flats built right here in the heart of Australia are done so that they exceed the building codes in every way, shape and form. Many of our customers have a hard time believing that what we create are actual granny flats because of the atmosphere that we create. Our additional housing units look and feel like homes. They are built with the quality materials of your choosing, painted with whatever colour you please, and can be furnished in so many different ways that no two granny flats will ever look the same once you put your creativity to the test. Being affordable doesn’t have to mean that the product isn’t well made. We value your service, and work diligently to ensure that whatever type of flat we assemble on your property is durable, energy efficient, and will last you a lifetime. You won’t find a better business than Superior Granny Flats. We listen to your needs and understand your goals. And we believe in making sure that you can meet those goals!